In 2019 Edward Waters College (EWC) will begin offering classes focusing on business principles of the music industry, which is essential to helping students with their post-college careers. The initial course consisting of five monthly classes will begin on February 11, 2019. 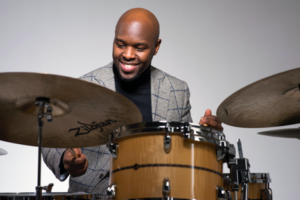 The music business course is the brainchild of Jacksonville native, Ulysses Owens Jr., a GRAMMY-Award winning jazz drummer and Juilliard faculty member, along with Dr. Lucy Chen, EWC music department chair. Together, they recognized that a fundamental understanding of key business challenges is crucial to enabling new music grads success in the industry. According to Owens, who has seen first-hand the need for being more than a great musician to survive in the music industry, “you must also understand finance, marketing, how to decipher contractual language, and most of all, how to build and maintain relationships.” His lecture series, “Carving Out Your Own Place in the Music Industry in the 21st Century,” has been presented at the University of Chicago, the Stanford University Career Development Center, Florida A&M University, and Eastman College of Music, among others. Owens recently conducted a well-received music entrepreneurship workshop at EWC that will be expanded upon during the newly established course, which will be taught by Owens on a pro-bono basis. Partial financial support for the program is also being provided by Community First Credit Union, where Owens recently received an Artist Grant through the Community First Cares Foundation. Artist Grant funding will allow Owens to obtain resources and materials for the course. Students interested in learning more about the course should contact Dr. Lucy Chen at Edward Waters College (lucy.chen@ewc.edu). Deadline for students to sign up is January 30, 2019. Edward Waters College is a private college in Jacksonville, Florida. Founded in 1866 as a school to educate former slaves, it was the first independent institution of higher education, and the first historically black college in the state of Florida.